CHICAGO (NEWS RELEASE) (WLS) -- ABC 7 Chicago, the station that has broadcast candidate debates and forums for more than two decades, partnered again with the League of Women Voters of Illinois and Univision Chicago for a commercial free debate among the six Democratic candidates running in the primary race for Illinois governor. ABC 7 EYEWITNESS NEWS PRESENTS THE RACE FOR ILLINOIS GOVERNOR: THE DEMOCRATS DEBATE, is an hour long debate moderated by ABC 7 Anchor/Reporter Alan Krashesky at the ABC 7 studios. He was joined by ABC 7 Political Reporter Craig Wall and Univision Chicago's Erika Maldonado, who questioned the candidates. Part 1: Race for Illinois governor: The Democrats Debate ABC7 Chicago partners again with the League of Women Voters of Illinois and Univision Chicago. Part 2: Race for Illinois governor: The Democrats Debate ABC7 Chicago partners again with the League of Women Voters of Illinois and Univision Chicago. The debate was featured LIVE at 7 p.m. on ABC 7 digital channel 7.2 (Comcast 217, RCN 618, WOW! 219, Charter 608 and Mediacom 723) and was streamed live on abc7chicago.com and the ABC 7 Chicago News app at 7 p.m. on Friday, March 2, 2018. Later that evening the debate will air on ABC 7's main channel from 10:35 -11:35 p.m. Friday. Univision Chicago will air the debate in Spanish, Saturday, March 3, 2018 at 5 p.m.
Part 3: Race for Illinois governor: The Democrats Debate ABC7 Chicago partners again with the League of Women Voters of Illinois and Univision Chicago. Part 4: Race for Illinois governor: The Democrats Debate ABC7 Chicago partners again with the League of Women Voters of Illinois and Univision Chicago. The Democratic candidates for Illinois Governor participating in the debate included: Daniel Biss, Bob Daiber, Tio Hardiman, Chris Kennedy, Robert Marshall, and J.B. Pritzker. Part 5: Race for Illinois governor: The Democrats Debate ABC7 Chicago partners again with the League of Women Voters of Illinois and Univision Chicago. Part 6: Race for Illinois governor: The Democrats Debate ABC7 Chicago partners again with the League of Women Voters of Illinois and Univision Chicago. ABC 7 EYEWITNESS NEWS PRESENTS THE RACE FOR ILLINOIS GOVERNOR: THE DEMOCRATS DEBATE will be made available to television and radio stations throughout Illinois via the Illinois Broadcasters Association. 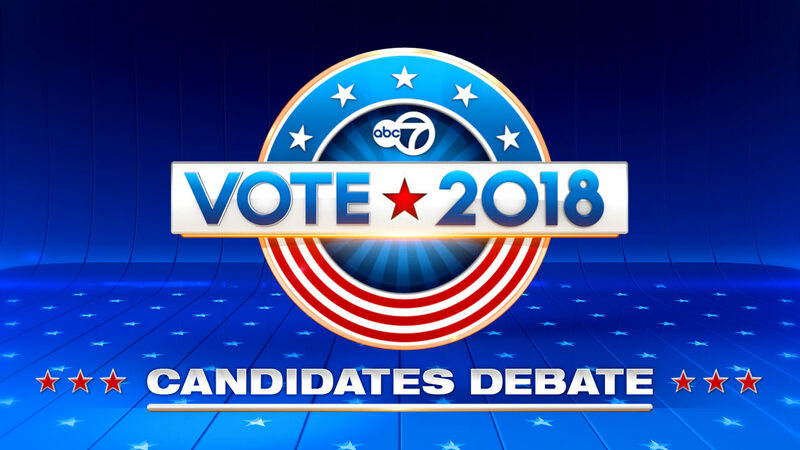 The debate is produced by ABC 7 Eyewitness News in collaboration with the League of Women Voters of Illinois and Univision Chicago. It is available on demand at abc7chicago.com and the ABC 7 Chicago News app.